Trust me on this one! 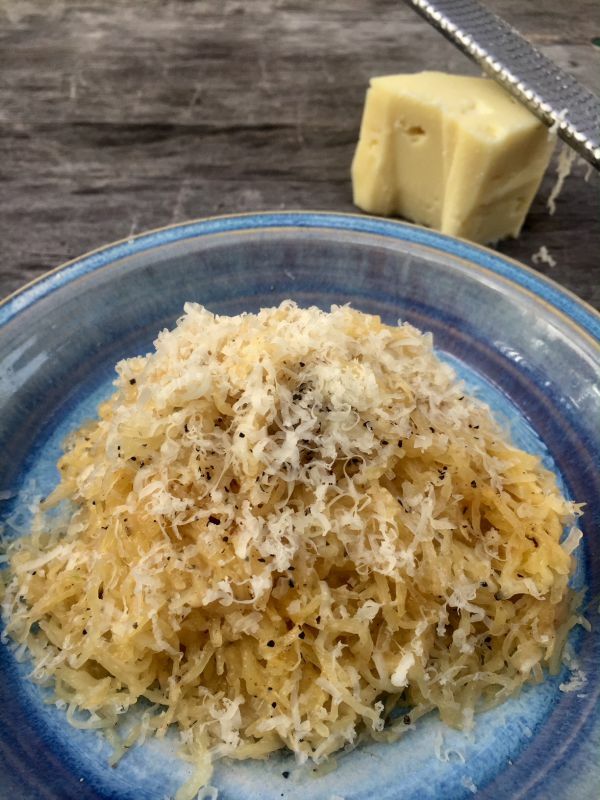 This may sound strange to you as a pasta lover, but if you need a break from all the carbs in your diet, this is a great substitute from regular pasta. This Greek Browned Butter method can be used for several different dishes. It can be made in minutes with just a little planning. Use this method on your vegetables, fish, meats, cakes, cookies and more. I was inspired by my mother’s favorite recipe as a child. It arrived warm in a bowl with all the the Greek flavors that I remember. My mother cooked with regular spaghetti, which was what she used. I followed her recipe for years for my family, but added small bites of carrots and zucchini. For a quick-night meal this was just the perfect dish. 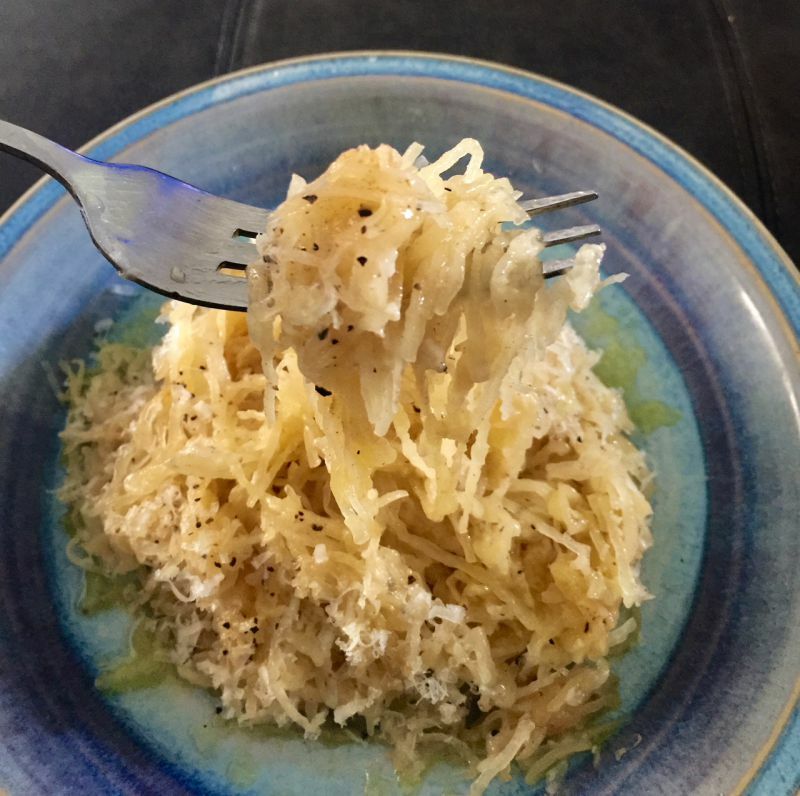 Using the spaghetti squash as a substitute I was able to add more nutrients to the dish, but hold on to the same method and add more of my favorite flavors. Almost every nutrient is found in this squash including vitamin A,C, B-6 and Potassium. It contains only 10 grams of total carbohydrates per cup, with a total of 42 calories. Also, very high in fiber which is important in all of our diets. My Tip: Bake the squash the evening before and refrigerate and in minutes the next day you have a satisfying delightful main dish. Pierce the squash a couple of time with a knife to release the steam while cooking. Let cool. 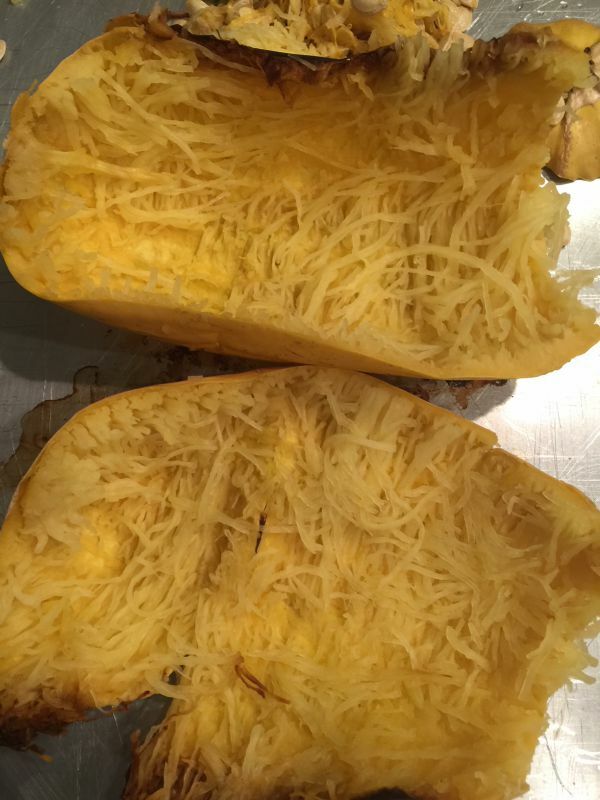 Squash is baked whole, which makes it easier to cut through. Then slice in half, and cool before cleaning. Clean all the seeds out and use a fork to scrape out the strings. Once you have scraped all the flesh, rinse under cold water and dry. 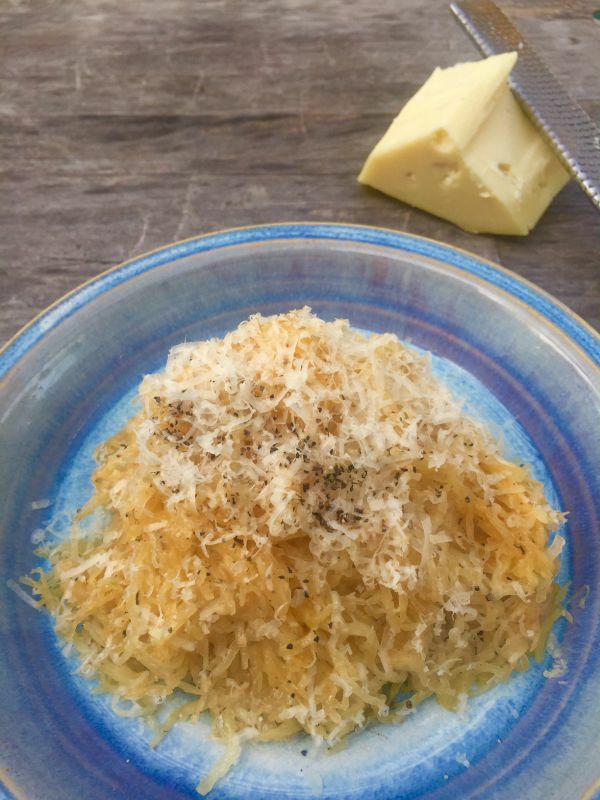 You can find spaghetti squash at your local farmer’s market or at Melissa’s Produce. The Greek cheese I received from my sister-in law is called Kefalograviera. The make it fresh in her hometown in Greece. It’s one of my first requests from her when she returns from Greece. 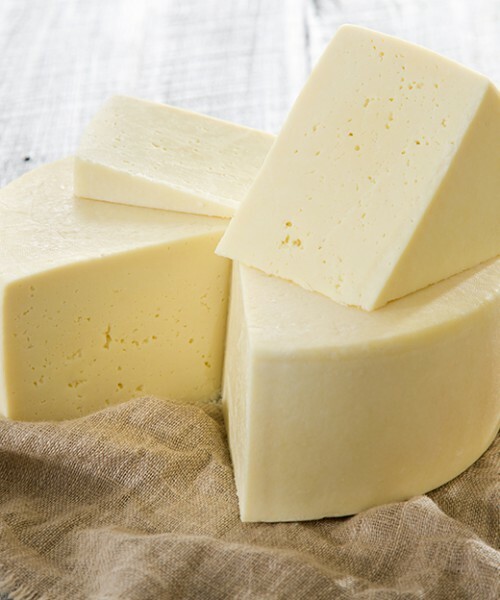 It is a soft cheese with a salty bite and is made from goat or sheep’s milk. You can substitute Parmesan. But it online at Kontos or at your local ethnic market. Need a quick weekday meal? 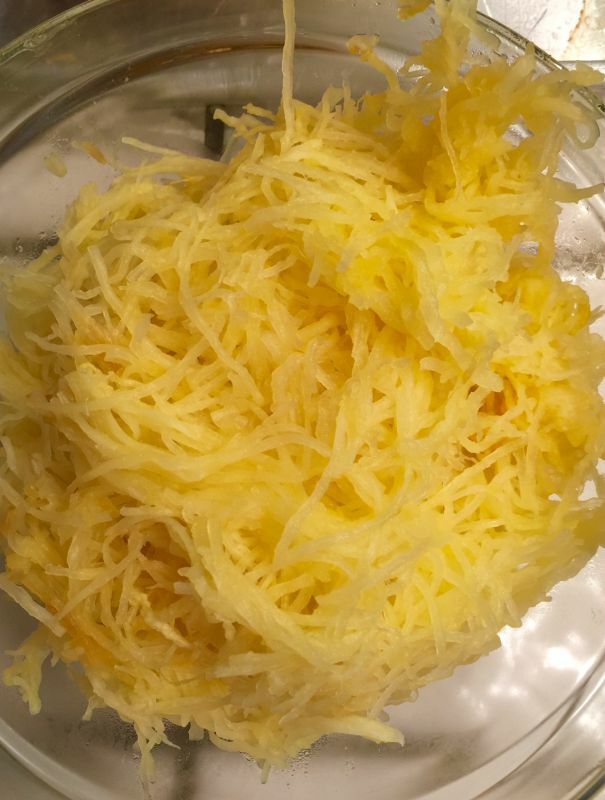 My family loved this recipe but using spaghetti. I made it for my kids when I was in a pinch for time but added pre-cooked carrots and broccoli. Today, for a more healthy version I have substituted spaghetti squash. Wow, is it tasty! Let's start with baking the squash whole in the oven at 375 degrees on a sheet pan for 45- one hour, depending on the size of your squash. Pierce the squash with a knife several times to help release the steam as it cooks. 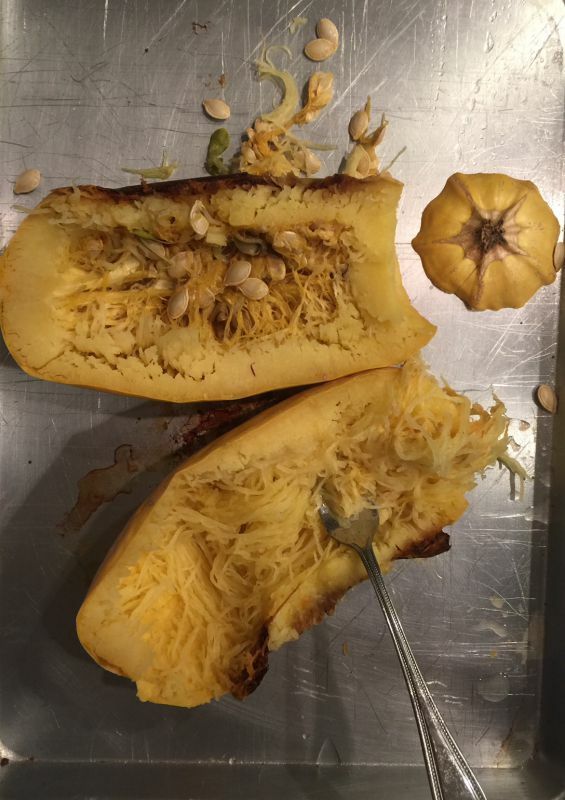 Remove when the squash can be easily pierced with a knife. Let cool before cutting open. Slice the squash lengthwise. Using a fork, scrape out the seeds and discard. Using a fork scrape out the flesh, carefully so flesh is not used. Place in a medium bowl and separate into strands. In a sieve, rinse the squash with water. 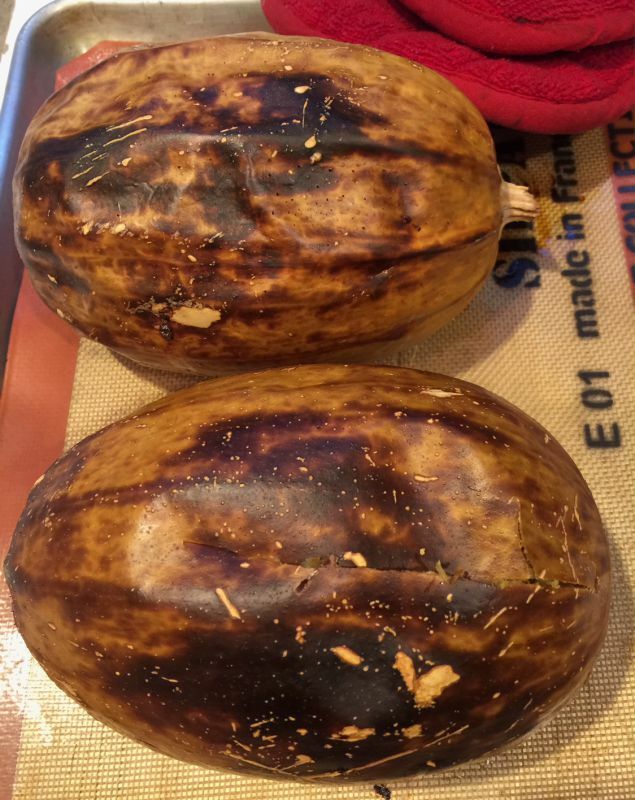 Dry the squash with paper towels or a clean towel. Set aside. In a large frying pan add the butter and cook over medium heat until browned. Add the garlic and ground cardamon stir until combined. Taste. Add the salt and pepper. On low heat, add the squash and combine with the butter mixture. Continue cooking until heated up. Remove from the heat. Using a large platter, place the squash in the bowl and sprinkle with grated cheese and olive oil. Taste for additional salt and pepper. Serve warm. I wanted to thank the authors Karen Page and Andrew Dornenburg, for their inspirational book, Kitchen Creativity. Recently, we attended a book appearance at Melissa’s Produce, where they spoke about opening your mind for creating new ideas and methods in your kitchen. This is one book along with their other latest books that are actively on my bookshelf.